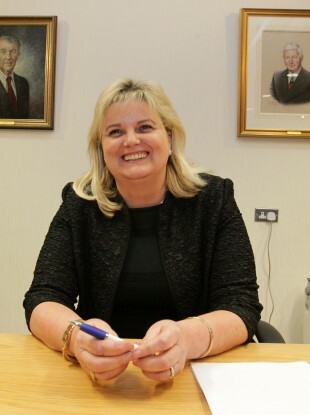 Angela Kerins announced her retirement as CEO of Rehab yesterday. THE PUBLIC ACCOUNTS Committee (PAC) “absolutely expects” Angela Kerins and Frank Flannery to attend its hearings on the Rehab group next week, its chairman John McGuinness said today. The committee is due to hold further hearings on Rehab – which receives around €90 million in public money – next Thursday and members today said there needs to be clarity on who will be attending next week. The Rehab Group has been at the centre of controversies around the pay of its retiring CEO Kerins, who earns €240,000 annually; lobbying of the government by its former CEO Frank Flannery; and the low profit it makes on its charity lottery scheme. The group’s chairman Brian Kerr, Kerins, her predecessor Flannery, the director of finance and the remuneration committee have all been asked to appear before TDs. McGuinness said that the committee has not received correspondence from Rehab in relation to Thursday’s meeting about who will be attending, though noted that no one had so far declined to attend. “It is no harm to make it clear that we intend to pursue our work next Thursday as agreed,” McGuinness said. The committee is expected to write to Rehab to seek clarity on who will be attending. Independent TD Shane Ross suggested that a “very stiff reminder” be sent today. Kerins announced her retirement as CEO of the organisation yesterday, though the committee agreed today this should have no impact on her attending next week and she will be expected to come before TDs. Kerins has been at the centre of controversy over her €240,000 salary which she had declined to disclose publicly for a number of weeks despite public pressure. Rehab has since provided details of salary arrangements for senior executives with 12, including Kerins, making over €100,000 annually. However, the PAC has complained that it has not got all the information it has sought including details in on consultancy and lobbying work undertaken by Flannery. Fine Gael TD Paul Connaughton said that getting information had been “like pulling teeth”. “They’ve been extremely secretive about the whole thing,” he said. Last month, the committee referred a letter containing “a number of serious allegations” against individuals linked to Rehab to the gardaí. Email “Angela Kerins and Frank Flannery are 'absolutely expected' to attend PAC next week”. Feedback on “Angela Kerins and Frank Flannery are 'absolutely expected' to attend PAC next week”.